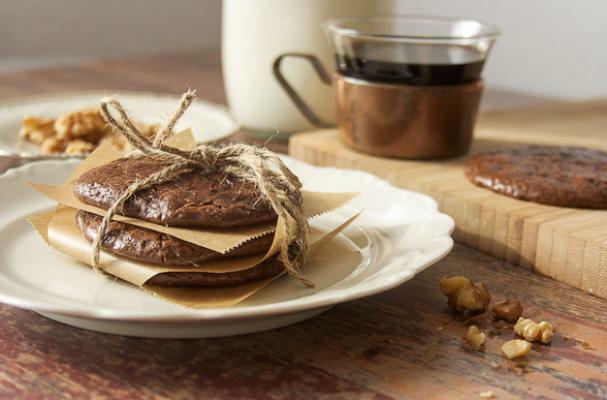 These gluten-free chocolate cookies from Laura's Sweet Spot are a guiltless dessert. Not unlike a meringue, these cookies are tender and melt in your mouth. They also are not a calorie busting treat since they contain no fat and no flour. The ground walnuts give the cookie body and texture while the cocoa powder provides flavor (and a boost of antioxidants). If you are getting ready for summer, these flourless chocolate cookies allow you to have your cookie and eat it too!